Galvanized iron wire mesh can be divided into electro galvanized wire mesh and hot dipped zinc coated wire mesh. 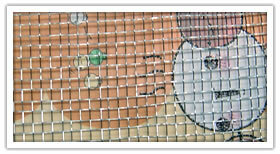 Galvanized Wire Mesh is made by weaving galvanized iron wire. Application: Galvanized wire mesh is mostly used as window screen , industrial sieves in sugar,chemical,stone crusher industries,Also in sieveing grain. 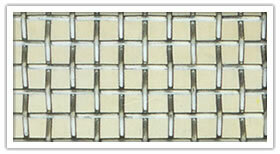 Hot dipped galvanized before or after weaving; Electric galvanzied before or after weaving.